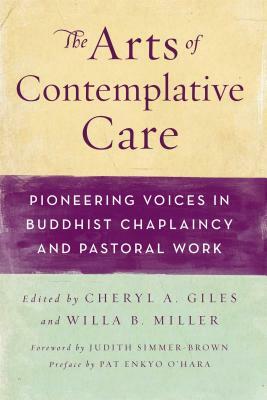 Cheryl A. Giles, PsyD, is a licensed clinical psychologist and the Francis Greenwood Peabody Professor of the Practice in Pastoral Care and Counseling at Harvard Divinity School, where she is core faculty member of the Buddhist Ministry Program. Lama Willa Miller has studied and practiced in the Tibetan Buddhist tradition for the last twenty years. Her teaching specialties include natural meditation, heart-cultivation, body-based Buddhist yoga, and practices for deep retreat. She earned her PhD in Religion at Harvard University, where she also assistant teaches. She is author of the book Everyday Dharma: Seven Weeks to Finding the Buddha in You (Quest Books, 2009), a practical guide for getting started on the spiritual path.